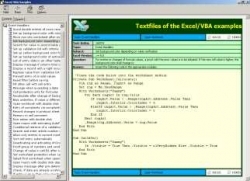 AMAZING collection of 2,500 VBA examples in a question-and-answer format. Every snippet of VBA you will ever need! Save More! This CD ships as part of the Excel 2003 Power Bundle or the Excel 2007 Power Bundles. Requires Windows - not compatible with Macintosh. If installing in Vista, read this note. This CD is packed with 2,500 Excel Workbooks. Every workbook contains a question, such as How do you display the complete file path in the print header? along with the answer and the VBA code necessary to make it work. Originally published by Microsoft MVP Hans Herber in German. This CD is a best-seller in Europe. Painstakingly translated to English by the MrExcel team. Every example is completely indexed and searchable. You can view the complete list of questions addressed on the CD.